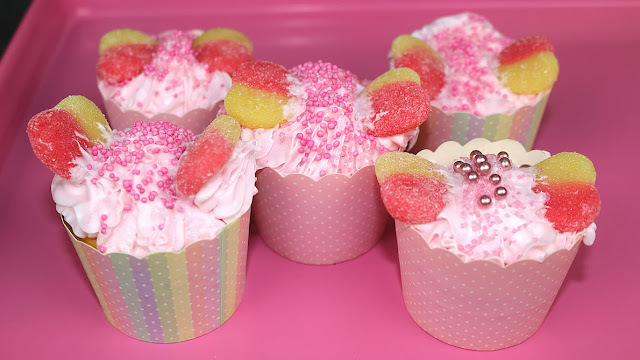 Inspired by my first Halloween tutorial of the year as a Pink Fairy, I decided to make Fairy Cakes also! If you are going as a fairy this year I think that Fairy Cakes are the perfect sweet treat to compliment your costume and a fantastic Halloween party favor. They are super easy to make and very festive so let's get into how I made these pretty cakes or click HERE to watch the video tutorial. 2. Place the flours, sugar, butter, milk, eggs and vanilla in a large bowl and then beat on medium speed for 3 minutes. 3. Spoon the mixture into the paper cases and bake for 20-25 minutes. 4. Leave to cool slightly then decorate using frosting, sprinkles and of course the lollies as fairy wings. 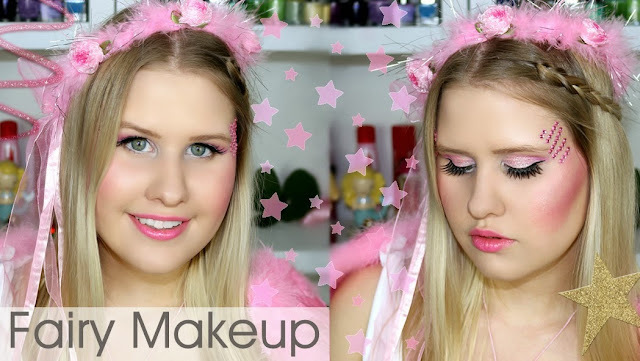 If you would like to find out how I created this Pink Fair Halloween Look, check out the makeup tutorial by clicking HERE. Those fairy cupcakes are adorable!